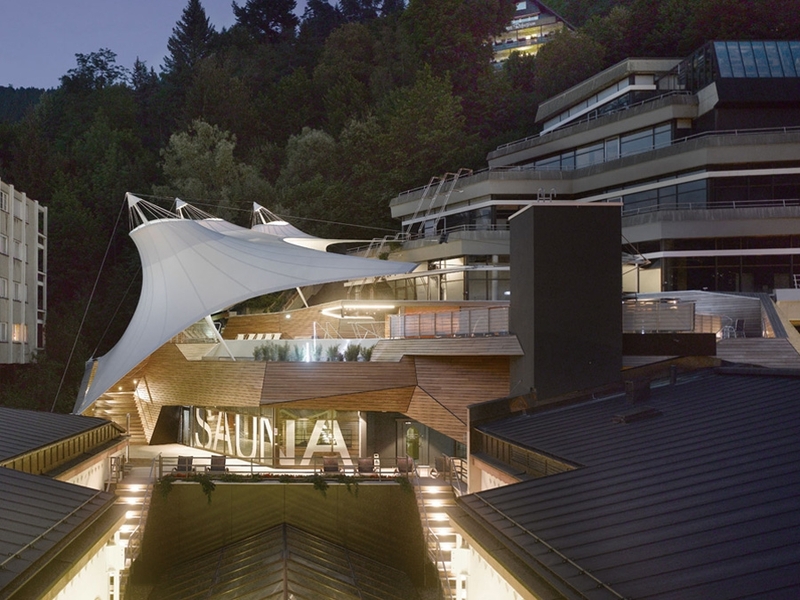 Germany's heavily wooded Black Forest is home to a new outdoor spa called Palais Thermal, designed by Kauffmann Theilig & Partner. The Black Forest is Germany’s largest contiguous low mountain region and lies in the southwest of Baden-Wurttemberg. This area is saturated with stunning natural resources, making this an ideal spot for relaxing and reconnecting with nature. The project scope for the German-based architects was to reinvent the existing terrace into an exterior spa, which included a thermal pool, showers, saunas, and a bar. KT & P took a sculptural approach to the design of the elevated terrace. Wooden stairs zig-zag their way up in an angular fashion, through three levels of activity areas. On the first level, spa guests will find the restrooms, showers, and snack bar. The glass sauna is built on the second floor, while the outdoor thermal pool looks over the historical town on the third floor. KT & P included a large white canopy, which is pinned down in multiple points on the second and third level. 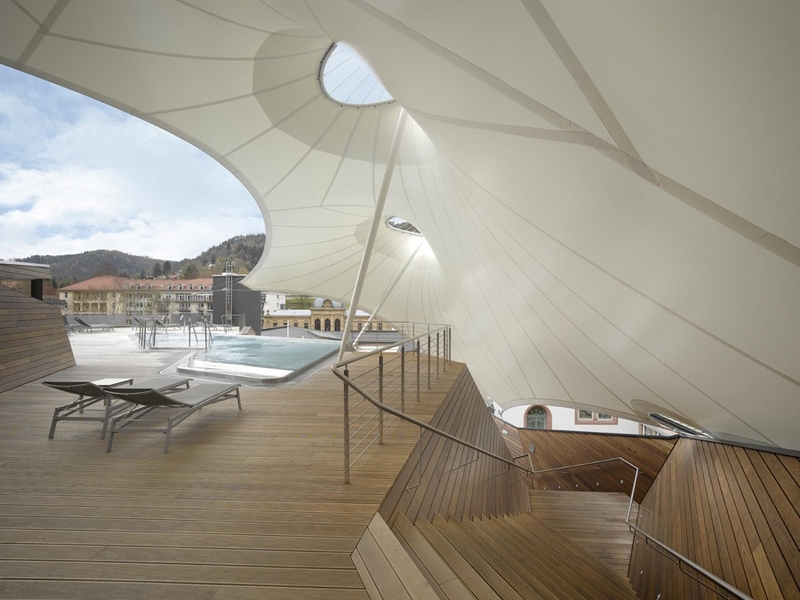 The sculptural canopy presents itself in a curvaceous, organic form - while giving spa guests some privacy. At night, warm lighting gives the translucent canopy to subtle glowing effect!